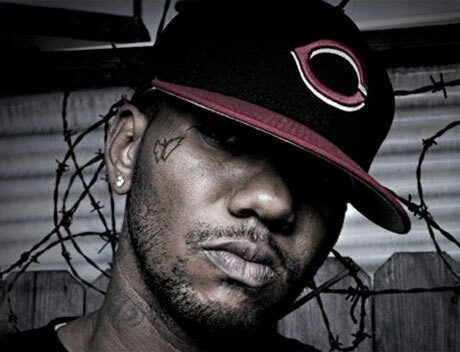 While the Game is usually stirring up controversy by dissing his rap brethren, the Los Angeles hip-hop figure has now got himself in hot water over a Twitter prank gone bad. Last Friday (August 12), a tweet came from the Game's Twitter account saying that he was looking for an intern and would select a fan at random for the job. The tweet was followed up with an announcement that fans could phone a number and leave their information to apply. The digits, however, were those of the Compton emergency number, sending enthusiastic callers to the sheriff's department. According to the Los Angeles police department, the influx of calls slowed down police drastically between 5:20 p.m. and 8:00 p.m. PST, as real calls were likely blocked or delayed due to the misunderstanding. When the calls were eventually traced back to the Game's tweets, Sheriff's Captain Mike Parker said, "U Tweeted phone # of #LASD #Compton Sherriff & said 2 call 4 internship when there is none. Lg.vol.calls R compromising publicsafety." While the Game went ahead and deleted the original tweets, he responded by saying, "Yall can track a tweet down but cant solve murders ! Dat was an accident but maybe now yall can actually do yall job !!!! #iSpeak4ThePeople." On Sunday (August 14), however, the Game told TMZ he never personally sent the tweets in question. According to the rapper, he was in the midst of a photo shoot on Friday when a friend of his grabbed his phone and began sending out messages. The Game added that his friend did not know the number for the emergency department and denied receiving any message from police urging for the rapper to call off fans. "They don't have my number and I'm not following the police," the Game said. Nevertheless, the sheriff's department is planning to file a formal complaint to the district attorney's office, at which point charges could be held against the Game.